Simply touch a chord to hear how it sound like. 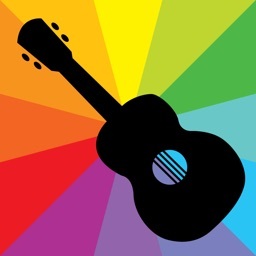 Press the play button to hear the chord progression sequentially and adjust the playback speed. 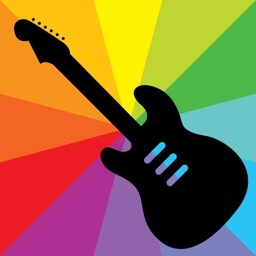 FORWARD - Pick a scale, then build your song from the chords that the app suggests. That's the quickest way to assemble chords that are compatible. 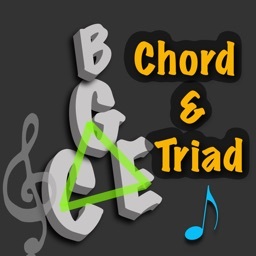 BACKWARD - From the catalog, pick a set of chords that you like. The app will tell you what scales it matches with. 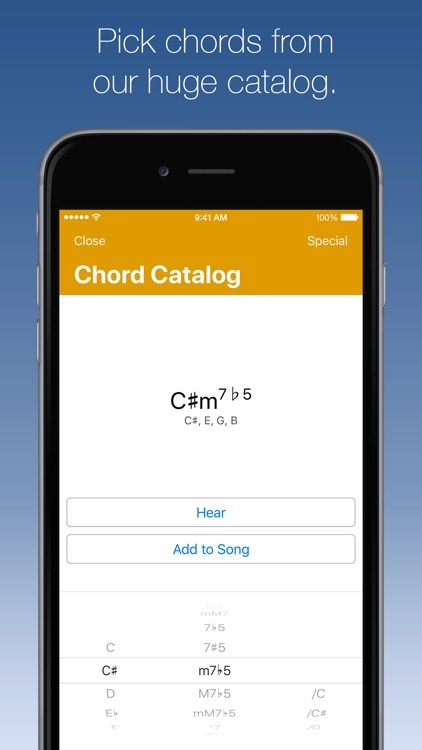 After you have selected the scale you want to use, the app can tell you what chords will fit in with the ones you entered before. That is extremely useful in jam sessions! To spice things up, you can borrow chords from parallel scales. 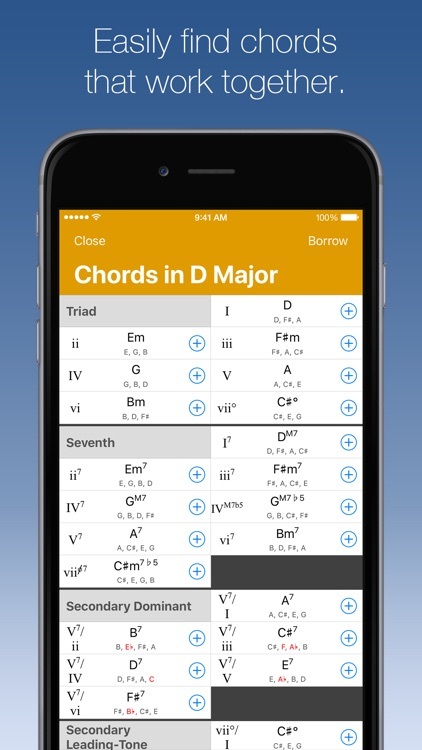 You can also explore classic chord progressions. 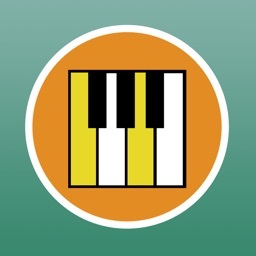 Use Drag and Drop to reorder chords. Hold your finger on an item for a second to start the drag operation. 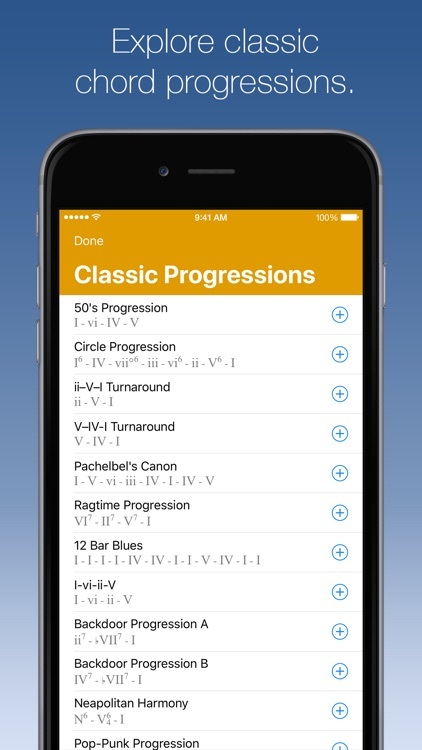 On iPad, you can also drag chords directly from the suggestions to anywhere in your progression. Swipe a chord from right to left to delete it. When you're satisfied, save your experimentations for later reference. Export them by email using either a MIDI file or plain text. 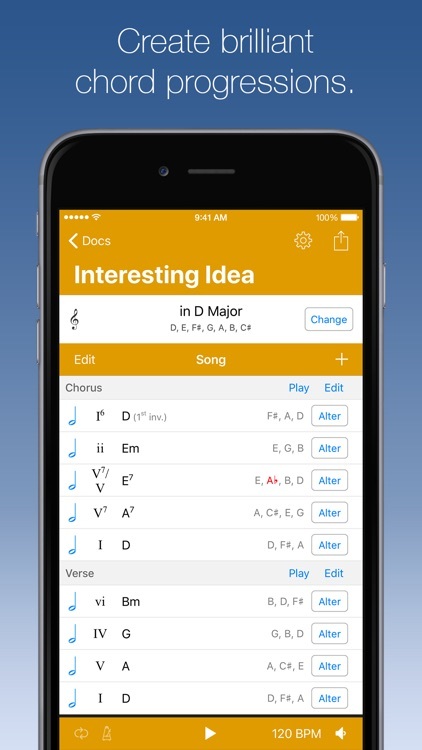 You can also open the MIDI file in another app. 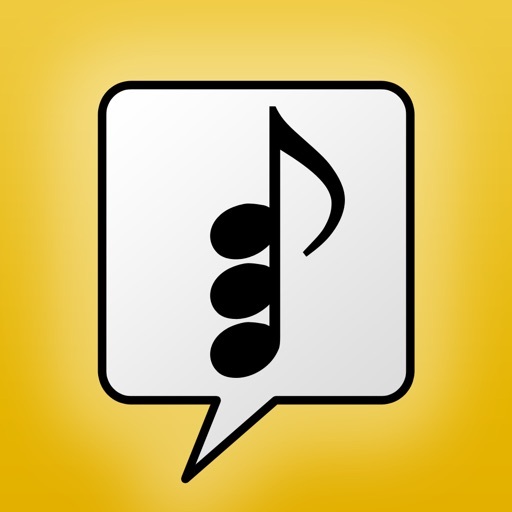 Every sound generated with the app is also sent to the MIDI output, configurable in the Options. You can route these notes to another app on your device, an external MIDI port, or remotely to another computer by setting up a MIDI Network Session. 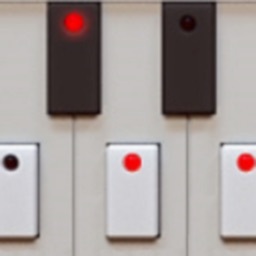 You can trigger chords through the MIDI input. Sync up your tempo with other apps with the help of Ableton Link. In the free version, some of these features are locked. Reach full productivity by purchasing a Full Unlock. You only need to buy it once for all your devices. To unlock your purchase on another device, select "Restore Purchases" in the Options. • Compatibility with AudioBus 3. • Compatibility with Ableton Link. • Fully supports device rotation on iPad.